Grape-based agriculture in the western SARE region has been a major industry historically with rapid expansion occurring in recent decades in the Pacific Northwest. However, water for crop irrigation now faces potential limits owing to multiple competing demands from the public as well as from changing climatic patterns. Agriculturalists are currently being forced to make essential decisions ranging from crop selection to management strategies in order to maintain sustainable operations. Owing to moisture losses associated with surface evaporation and weed growth under conventional surface irrigation methods, development of more highly efficient irrigation methods are necessary for producers to meet this resource use challenge. Working in close collaboration with vineyard owners and managers in southcentral Washington, our research group recently introduced a new subsurface micro-irrigation strategy which uses hard tubes placed vertically into soil to deliver water directly into the lower root zone of certain perennial crops such as grapes. During the 2015 growing season, one of the hottest and driest on record, we were able to produce 70 percent of commercial production using direct root-zone irrigation while conserving 85 percent of the water applied by surface drip irrigation to achieve full commercial production. We anticipate that this study will clarify the advantages of our new irrigation method for growers when coping with water scarcity in the western region of the U.S., and also gain a better understanding of growth capacities of grapevines under water stress. These results will be translated to growers through an integrated applied research and educational program with primary objectives focused on: 1) advancing the understanding of the role of water in allocation of carbohydrates within the grape vine; and 2) extension education programming directed by a logic model developed to guide project activities. Our proposed activity plan is based on stakeholder input and involvement, sound experimental design involving statistical principles, and an educational programming model containing proven methods. 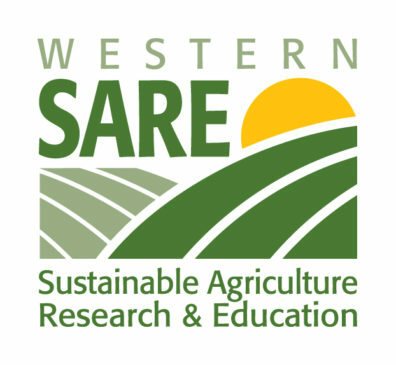 We will utilize on-farm demonstration, formal educational programs containing learning assessment, and surveys to track rate of adoption by growers and determination of resulting economic impact to the grape-based industry in the western U.S.